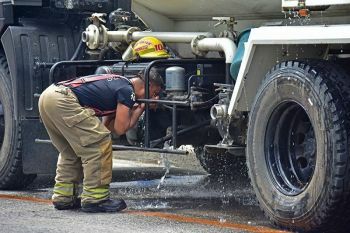 A TOTAL of 65 skilled regular and job order employees of the city were deployed to six different schools to prepare for the start of classes on Monday, June 4. Davao City Human Resource and Management Office head Erwin Alparaque during the I-Speak media forum on Thursday, May 31, said these skilled workers include carpenters, painters, plumbers, electricians who are capable to perform necessary tasks on renovation and doing minor repair. Alparaque said each have been separately assigned in Toril, Tugbok, Talomo, Agdao, Poblacion and Buhangin. "The directive is to give full assistance to all the schools to make sure that all of them are ready for the opening of classes. We already checked those which really needed minor repairs," Alparaque said. 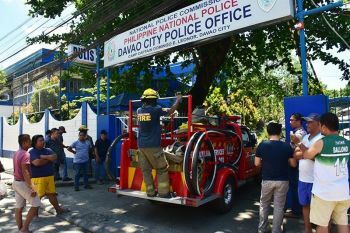 The workers came from Davao City Engineer's Office, Davap City Economic Enterprise, General Services Office and City Mayor's Office. "We started the other day, based on the time frame we gave, they must finish it on Saturday or Sunday," he said. Alparaque said the expenses, which are only minimal since it is only for minor repairs, are shouldered by the CMO. 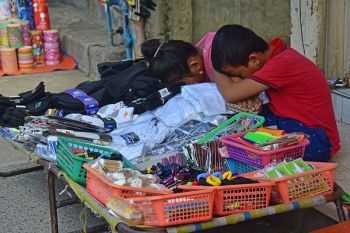 He added that deployment of skilled workers was a directive of Davao City Mayor Sara Duterte-Carpio, who wants the schools to be 100 percent ready. Meanwhile, Deputy Officer of Public Safety and Security Command Center (PSSCC) Angel Sumagaysay also said the security forces are all set and the security plan for the start of the classes has been crafted ahead of time. Sumagaysay advised landlords and landladies to allot the first two weeks to know their boarders to protect them from burglary or theft. He also encouraged members of the PSSCC core group -- Davao City Police Office, Task Force Davao, and City Transportation and Traffic Management Office, Central 911, the Civilian Auxillary Unit -- and other stakeholders to work together to exercise the same method of securing students during classes as it is a yearly activity.